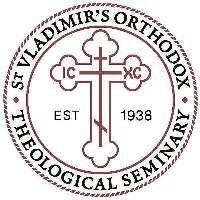 St. Vladimir’s Orthodox Theological Seminary trains clergy and laity for leadership and ministry in the Orthodox Church in America, and in other Eastern Orthodox and Oriental Orthodox Christian jurisdictions throughout the world. The Seminary is chartered and approved by the Board of Regents of the University of the State of New York and is accredited by the Association of Theological Schools in the United States and Canada; it offers the following degree programs: Doctor of Ministry, Master of Theology, Master of Divinity, and Master of Arts. 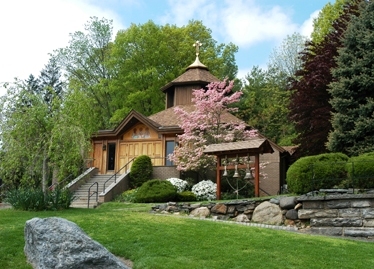 Located in the Crestwood neighborhood of Yonkers, NY, only 30 minutes north of the cultural and educational resources of New York City, the seminary’s 12-acre campus includes a chapel, classroom buildings, library, administrative and faculty offices, bookstore, dormitories, and refectory. Homes for faculty and staff on or near the campus contribute to the strong sense of community. From its establishment in 1938, St. Vladimir Seminary has understood theology to be the foundation for the life of the Church as a whole, and not just the exclusive domain of the clergy. During its first decades, the Seminary faced the task of providing an educated clergy. As its resources expanded, the Seminary broadened the diversity of its programs and outreach, making it an internationally recognized center for Orthodox Christian theological, educational, and musical training, spiritual nurture, and ecumenical dialogue. Through its St. Vladimir’s Seminary Press & Bookstore, the Seminary has introduced countless individuals around the globe to the Orthodox Church. More than 400 titles have been published by SVS Press. St. Vladimir’s has always been recognized for its distinguished faculty. The writings of such renowned faculty members as Georges Florovsky, George Fedotov, Nicholas Arseniev, Nicholas Lossky, Alexander Schmemann, John Meyendorff, Thomas Hopko, and John Behr have been published in numerous languages. The current faculty maintains the Seminary’s commitment to academic excellence and Christian witness. Located in the new John G. Rangos Family Foundation Building, the library holdings include 142,000 volumes and over 350 periodicals. The Rangos Building, dedicated in May 2002, also houses new administrative offices and the Metropolitan PHILIP Auditorium. St. Vladimir’s has served as a forum for inter-Orthodox cooperation and unity, as reflected not only in its faculty and Board of Trustees, which include hierarchs of the major Orthodox Churches in North America, but also among its graduates and present student body. Alumni include 45 hierarchs and more than 1,000 clergy. Countless lay graduates teach in institutions of higher learning or are engaged in other forms of ministry. Non-Orthodox graduates are active in their own communities as competent spokespersons for the position of the Orthodox Church.